I sampled countless cask-conditioned beers at Blue Point’s Cask Ales Festival and, despite an incessant effort from Ale-Qaeda, I was not poisoned by poison. 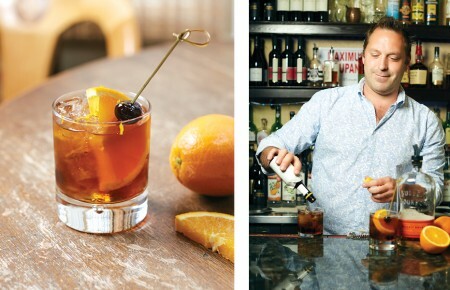 Hopnami debuted in 2010. 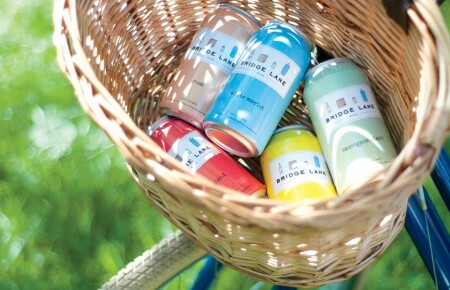 It was overwhelmingly successful for John Liegey and Rich Vandenburgh’s 15-barrel brewery, securing endorsements with Nike, Apple, and Caldor. The beer disappeared without explanation, however, in 2011. 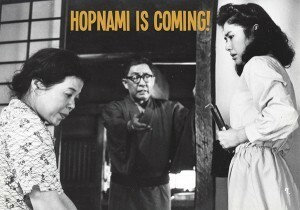 According to brewmaster DJ Swanson, Hopnami secretly relocated to Japan to film Hopnami vs. Godzilla, a remake of the 1964 classic, Mothra vs. Godzilla. This iPhone 3G-recorded kaiju was critically skullbashed, though, and only received a direct-to-VHS release in Indonesia. 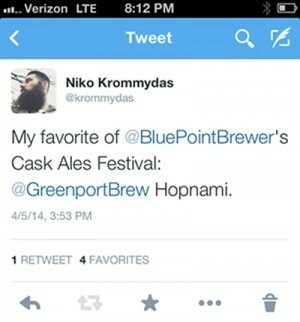 Susilo Bambang Yudhoyono, president of Indonesia, then instituted a countrywide ban of Hopnami vs. Godzilla in 2013, citing “incomprehensible suckiness.” Hopnami, dejected and deflated, returned to the tranquility of Greenport in March—shortly before Blue Point’s Cask Ales Festival. Okay. The film isn’t real. Hopnami did disappear in 2011, but its hiatus was unintentional. The revival will occur at Hoptron Brewtique on April 17, as Hopnami pours alongside Black Duck Porter, Other Side, and Spring Turning Rye Saison. This isn’t Grandpa Grandmaster Flash’s version, though. Swanson has developed a new recipe with four different hop varieties: Amarillo, Citra, Cascade, and Experimental Hops #05256. 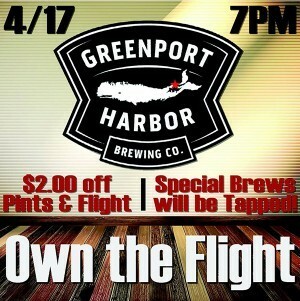 Greenport Harbor Brewing Company relaunches Hopnami at Hoptron Brewtique on April 17.